As part of a recent Town Centre Health Check for Ballina, (a collaborative pilot scheme conducted by The Heritage Council, GMIT, Mayo County Council, Ballina Tidy Towns and Ballina Chamber of Commerce) a retailers survey identified a need for a Business Watch to be setup in the area. Results of the survey concluded that most retailers felt a Business Watch was needed to aid retailers against crime and anti-social behaviour. 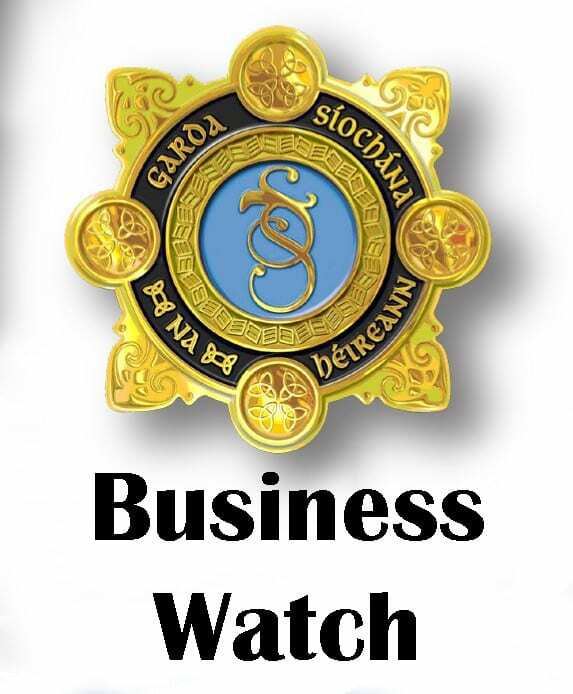 Business Watch is a Crime Prevention Programme designed by An Garda Síochána. It is founded on the same principles as Neighbourhood Watch, that is the practice of both the Gardaí and the community coming together to prevent and reduce crime. The only difference being that the community, which this scheme targets, is the business community. However, it has been agreed by Ballina Chamber of Commerce and Superintendent Doherty that ‘Prevention is better than the Cure’ and therefore a Business Watch group has been created to monitor crime in the town and alert businesses about issues such as shoplifting, anti-social behaviour & credit card fraud to name a few. Chaired by Maria Carr of The Junction Restaurant and Business Watch coordinator Hugh Rouse of Rouse Insurance, Ballina Business Watch will host its first open meeting and launch evening in Ballina’s Garda station on Wednesday 26th April at 7pm. This meeting is being organised by An Garda Siochana Ballina in association with Ballina Chamber of Commerce, Purple Flag Committee who will be present at the meeting. Ballina Business Watch welcome all Ballina businesses to become involved in the crime prevention group. This is an open invite to all Ballina businesses who would like to be involved in the committee or just give their commitment to this initiative. There are currently numerous Business Watch initiatives in place around the country, where a committee is formed represented by the local Gardai. Chamber of Commerce and business representatives. Committees meet monthly to discuss and deal with issues of crime prevention in the area. Ballina Business watch are also planning on launching a Ballina Business Watch text/Whats App alert scheme in the coming weeks.